Superman's S-shield is as iconic as the hero himself. It's probably the most recognizable superhero logo and it has permeated pop culture since 1938. If you can't see at least one person with a Superman logo somewhere on their person in any given public gathering, you're not looking hard enough. It had humble beginnings, with it purely representing “S for Superman,” but the shield soon acquired multiple meanings and was given its own mythos. The emblem has been given numerous backstories over the decades, ranging from it being the House of El family crest to it being designed by Jonathan Kent, based on a Native American design. The Man of Steel and geeks around the world aren't the only ones to wear the shield, however. Here are our 12 Characters Other Than Clark Kent Who Wore Superman's Symbol. Weirdly enough, Marlon Brando is to blame for adding to the mythology of Superman's symbol. Superman: The Movie was one of the first Superman stories to recontextualise the S-shield as something other than the initial of Supes. Apparently, it was Brando's idea to also wear the iconic symbol to represent a kind of family crest. Director Richard Donner rolled with it and it soon became accepted Superman lore, with it officially becoming the coat of arms of the House of El in comics, film and television from then on. Superman's Kryptonian parents proudly wear the symbol, which has been explained as both the family crest and the Kryptonian symbol for “hope”. The one emblazoned on Superman's chest serves as a constant reminder to Clark about his heritage and his parents' sacrifice as well as what letter his name starts with. The Death of Superman is probably one of the most famous comic stories around. Back in 1992, DC grabbed global attention by killing off their flagship character and went on to garner global shrugs when they brought him back less than a year later. In Superman's absence, four contenders to the cape rose to prominence during the Reign of the Supermen (later titled The Return of Superman) storyline. One of those being John Henry Irons. John Henry Irons was a weapons engineer who quit his position after one of his weapons ended up killing innocent people. He faked his death and moved to Metropolis, doing construction work to make ends meet. When he fell off a skyscraper, he was saved by Superman. Irons asked Superman how he could repay him and was told to “live a life worth saving.” When Supes bought the farm, Irons took the advice to heart and built himself a powered suit of armor and carried a large hammer to take the fight to gangs in Superman's stead. As a tribute to his fallen hero, he wore the S-shield on his chest. Not to be confused with Supergirl, the Superwoman mantle has been used by many women over the course of DC's history. The title was initially created purely to protect copyright and was never intended to be a fully-fledged character. The first mention of Superwoman was in Action Comics #60, where Lois Lane dreams she gains Superman's powers after a blood transfusion and becomes Superwoman, complete with blue outfit, red cape and rocking a heart-shaped S-shield. The Lois version has made several reappearances, but has never been a lasting change. The first woman outside of Lois Lane to have the name was superpowered alien heroine and brief Superman fling Luma Lynai. The title has also been used by (deep breath) a parallel universe version of Wonder Woman, a time-traveling descendant of Jimmy Olsen called Kristen Wells and an obsessed Superman fan named Dana Dearden who gains powers from stealing mystic artifacts. The most recent Superwoman is Lois' younger sister Lucy Lane, who wore a suit imbued with Kryptonian powers. However, her time in the suit was ended when DC initiated the universe wide New 52 reboot in 2011. 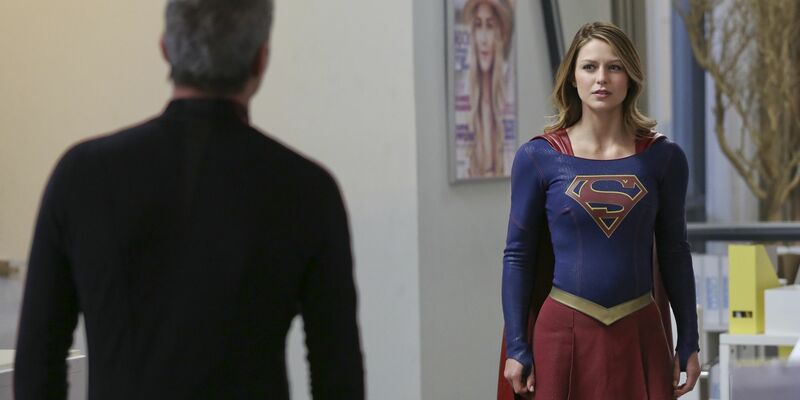 As Superman's biological cousin, Kara Zor-El's claim to the S-shield is stronger than most. The idea of a female Superman counterpart had been tested prior to her arrival in the comics, with not only the Lois Lane Superwoman fantasy stories, but also a storyline where Jimmy Olsen wished for a Supergirl to help Superman using a magic totem, because why wouldn't you waste a wish on giving an invulnerable god a helper? The Eradicator started life as a small, sentient rocket-like device designed to preserve culture and history, like a time capsule. However, when it lands on Krypton, a militant man named Kem-L corrupted it and soon it took its purpose as preserving Kryptonian culture by erasing all others, becoming the Eradicator. Eradicator soon evolved past its original form and became an energy being, obsessed with turning Earth into Krypton. Superman defeated it and drew it back into the device before smashing it. 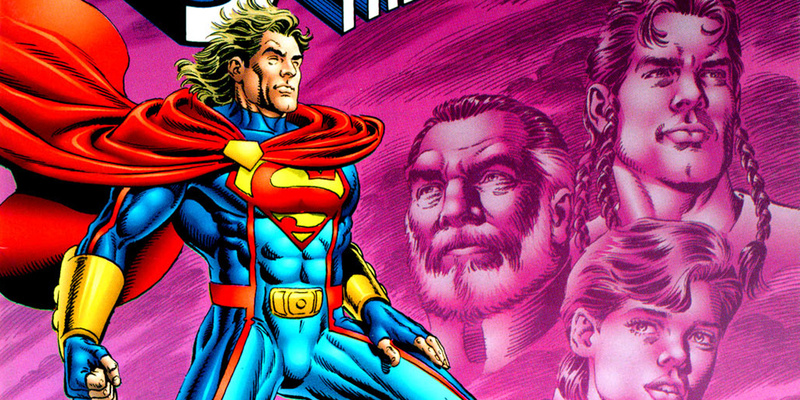 Eradicator returned in humanoid form during the Reign of the Supermen storyline, basing its physical form on Superman and referring to itself as “The Last Son of Krypton.” Despite looking like and dressing like Supes, Eradicator had no heat vision, wore a visor and was able to shoot energy blasts from his hands. In this form, he was on the side of good, but was more at the Zack Snyder end of the scale than regular Superman ever was, killing and maiming criminals without question. Over the course of the story, Eradicator was seemingly killed, but merged with S.T.A.R. Labs' terminally ill Dr. Connor at its autopsy, ensuring both beings' survival. In the future, during the Legends of the Dead Earth arc, Lex Luthor LX, the 60th clone of Luthor and leader of the Galactic Empire, engages the “Krypton Protocol,” destroying entire planets to prevent another Superman. Under the protocol, any population with the physiology to gain superpowers under another planet's sun is wiped out. However, irony comes back to slap Luthor's big, bald head when he attempts to destroy the planet of Hydros, killing almost all of its people. Rebel forces manage to save a fisherman named Kaleb and take him off-world. Once Kaleb is away from Hydros, he starts to absorb the yellow sun's rays and becomes a version of Superman with the same powers as well as inheriting the iconic suit and S-shield. Bizarro am bad and not famous guy for DC. First appearing in Superboy #68, Bizarro was conceived as a Frankenstein's monster for the DC universe and a mirror to Superman. He was initially a clone of Superboy, but Kryptonians and cloning don't usually mix well. Bizarro was created in the attempt, having the inverse powers to Supes, such as freeze vision and heat breath. The character also has a completely twisted morality, thinking bad is good and possessing a distinctive backwards way of talking. 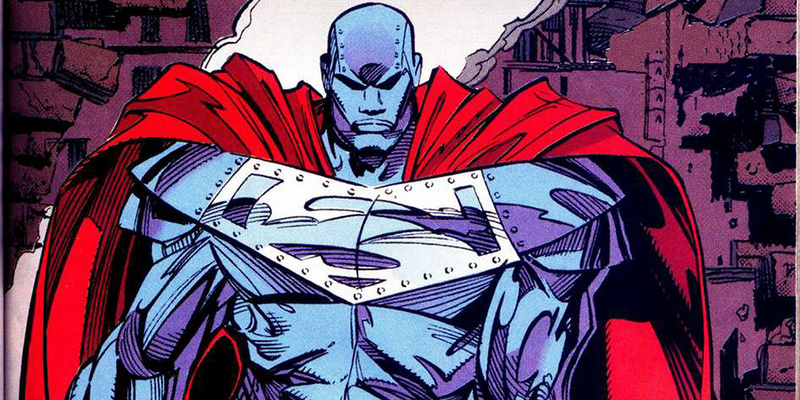 Whilst he's often portrayed as having a backwards S-shield, Bizarro has worn the traditional Superman garb, causing many cases of mistaken identity. In the New 52, Bizarro is an attempt by Lex Luthor to combine Superman and human DNA, labelled Subject B-0. Sergeant Preus was a member of the Citizen's Patrol Corps, a force that kept the peace in the bottle city of Kandor (an actual shrunken Kryptonian city in a bottle) under the banner of the House of El. When Superman discovered the city, he placed it in the Fortress of Solitude. Preus and the Kandorians (excellent band name up for grabs there) started to worship “The Superman” as their god. His S-shield breastplate protects him from telepathy as well as giving him the ability to hear telepathic conversations. The fanatical and xenophobic Preus blamed Kal-El for seemingly murdering several Kandorians (it was all an illusion) and swore revenge against him, not realizing that Kal-El and his god were one and the same. Preus escaped Kandor and followed Superman to Metropolis, gaining the standard Kryptonian suite of powers when exposed to yellow solar radiation. He bested Superman, even displaying an immunity to kryptonite, before Supes was able to destroy his armor and knock him unconscious. Before you start immediately and gleefully typing in the comments that we messed up by including Superboy, a young Clark Kent, therefore nullifying our list title, read on a little. Whilst Clark Kent is the original Superboy, we're talking about Kon-El aka Conner Kent, the version of the character introduced in the early '90s. Superboy appeared after the death of Superman, insisting he be called either “Superman” or “The Metropolis Kid.” He was the thirteenth attempt at making a clone of Superman as part of Project Cadmus, an ongoing genetic experimentation project, and grew from a single cell to a teenager within a week. His powers are thanks to “tactile telekinesis” which means that whilst he shares many powers with the big S, he doesn't have all of them. When Superman returned from the dead, he gave up his claim to the name willingly. He went on to be mentored by Clark, who gave him the Kryptonian name of Kon-El. Joseph Meach used to be a world famous diver. When that fame and money dried up, he attempted a big publicity stunt by diving off a building into a large tank of water. Unbeknownst to him, the tank was leaking and Superman saved him from certain death. When he learned of his financial troubles, Supes gave him a janitorial job in the Superman Museum where Meach grew to resent and hate The Man of Steel, surrounded by his accomplishments day after day. One night, Meach was clearing up and a bolt of lightning hit a display of the Legion of Super-Heroes, unleashing an energy blast that hit Meach and gave him the combined powers of all the Legionnaires. Naturally, Meach turned himself green and gave himself a half Batman, half Superman costume, threatening the 100 percenters Batman and Superman with revealing their secret identities. Despite the goofy origin, Composite Superman has gone down in DC's history as one of the most powerful villains both heroes have ever faced. Completing the four Supermen that appeared to fill Superman's boots after Doomsday crushed Clark, Cyborg Superman was the most interesting of the quartet. For starters, Lois Lane believed him to be the actual Superman, despite having a bad case of Terminator face. 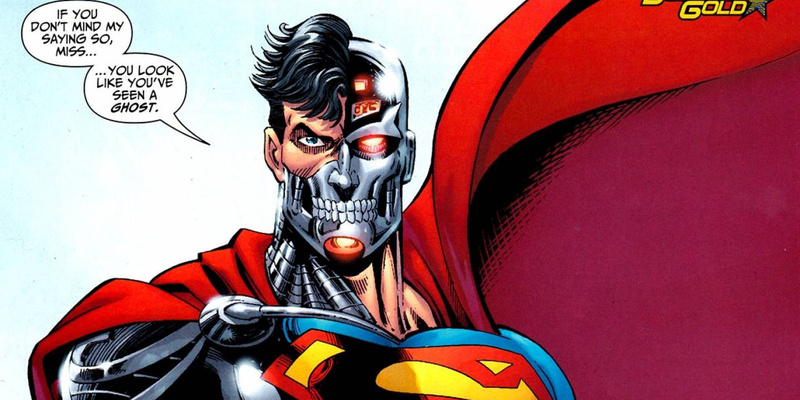 Cyborg Superman claimed to be Superman reborn and banished Doomsday into space as well as performing other heroic deeds. However, Cyborg Superman's true colors were revealed when he injured Eradicator, preventing him from stopping the destruction of Green Lantern's home of Coast City (an event that would drive Hal Jordan to become the supervillain Parallax). This all turned out to be a long-gestating evil plot by a scientist named Hank Henshaw. Henshaw was originally a parody of the Fantastic Four's Reed Richards. He too was an astronaut whose family and friends were exposed to space radiation. They all suffered horrible mutations and went to LexCorp for help. Henshaw was able to leave his decaying body and mesh with LexCorp's mainframe, constructing a robotic body for himself. This proved too much for his wife and she leapt out of a window to her death. Henshaw ended up in space alone, growing more paranoid and delusional, eventually coming to the conclusion that Superman was to blame. (Super) dogs are (Super) man's best friend and Krypto is no exception. He first appeared as Superboy's canine pal in Adventure Comics #210 but has had a long and storied history since. Basic gist is that he's the Superman of the dog world. He's a Kryptonian and as such he has the same abilities as Superman does when exposed to our yellow sun. He usually wears a miniature Superman cape and has a collar with the S-shield attached. He even has his own secret identity - that of “Skip”, the Kent's family mutt with brown dye patch on his back that can be burned off with his heat vision in case he needs to leap into action. Over the years, there's been a zoo's worth of super animals including Streaky the supercat, Comet the superhorse and Beppo the super-monkey. However, Krypto has stuck around and proven to be a popular and lasting addition to the comics, even earning his own show on Cartoon Network.